These are the tunes that have become the stuff of legend. And don’t just take it from this reviewer, ask Pat Metheny and countless others who have found something to say in the early compositions of Ornette Coleman. 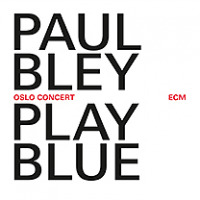 Either because he was on the West Coast working with Coleman and Don Cherry at the time or because he sees their inherent greatness too, pianist Paul Bley has chosen from the Ornette canon pieces dating from the late ‘50s for this exceedingly bright tribute event. Bley, at times, can be a brooding musician, although the more carefree exuberance of be-bop is not a foreign concept to him. 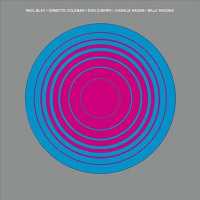 Here with Notes on Ornette, the darker aspects of Bley’s musical personality suits the pointed and slightly melancholy nature of Coleman’s work. Among the high points, “Crossroads” bristles with frenetic energy, Bley’s clusters across the keyboard (a la Cecil Taylor) clashing against bassist Jay Anderson’s slapping strings. 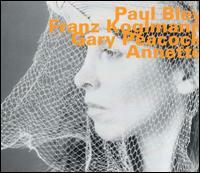 With a joyful noise that answers the musical question, “When Will the Blues Leave?” sprints along at a jovial pace. The longest cut here, “Turnaround” takes it place among other stellar versions in one of the showpieces of the entire set, Bley exhibiting the kind of “classical” chops that allow his fingers to respond instantly to his creative whims. Another fine item to be added to Bley’s list of SteepleChase classics, this set not only speaks to this trio’s collective veracity but also to Coleman’s enduring genius as a writer. In fact, I’m sure the composer would be proud.